If you ask a bunch of developers what programming language they prefer, prepare for a bunch of different answers. 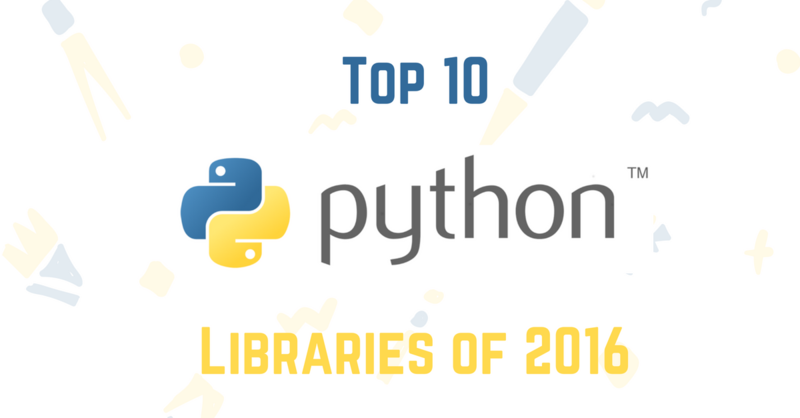 One popular programming language that seems to still be on the rise, according to Tryolabs, is Python, which is why the organization recapped some of the best Python libraries of 2016 today. Tryolabs, a company that helps companies build products with machine learning and natural-language-processing/AI components, gave credit to some of the work that has been done in the Python open-source community this year. It looked at projects that had an “explosion of popularity this year,” wrote Tryolabs’ CTO Alan Descoins. Zappa: A serverless framework for Python, powered by AWS Lambda and API Gateway. According to its GitHub page, Zappa makes it easy to deploy all Python WSGI applications on AWS Lambda and API Gateway. Also with Zappa, developers can deploy serverless microservices with frameworks like Bottle and Flask, as well as host larger web apps and CMSes with Django. Sanic + uvloop: Sanic is known to be an extremely fast Python web framework, and according to Descoins, it appears to be the winner by a clear margin. According to him, it’s a “Flask-like Python 3.5+ web server that is designed for speed,” and with the library uvloop, developers can enjoy the benefits of the powerful library with little change to their code, he wrote. Asyncpg: MagicStack brings developers this database interface library designed specifically for PostgreSQL and Python/asyncio. According to Descoins, asyncpg is, on average, at least 3x faster than Psycopg2, and faster than the Node.js and Go implementations. Boto 3: The AWS SDK for Python. An important feature to highlight, according to Descoins, is that Boto got a completely new rewrite from the ground up, which means developers do not have to migrate their apps all at once. TensorFlow: Of course TensorFlow would make the list of top open-source libraries, especially since it’s one of the top forked repositories on GitHub. TensorFlow still remains a trendy repository, and it can be used for numerical computation using data flow graphs, which can run over GPU or CPU, wrote Descoins. Gym + Universe: Remember when the non-profit AI organization OpenAI open-sourced its toolkit, the OpenAI Gym? Descoins added this library to the list because it helps developers looking to develop and compare reinforcement learning algorithms. He wrote that developers can build agents with the computation library of their choice, whether it’s Theano, TensorFlow, etc. Descoins added that Universe, a software platform for researching general intelligence across games and apps, fits in nicely with the Gym environment. Bokeh: This library was created for interactive visualization, and it targets modern browsers, wrote Descoins. It integrates with Jupyter Notebooks, and developers can use it as a go-to tool for research, he said. Here’s a full gallery with server app examples to help developers get started. Arrow: Descoins wrote that even if you don’t really need arrow, it can “greatly reduce the boilerplate in your code.” Arrow is “datetime for humans,” and it offers developers a different approach to creating, manipulating, formatting and converting dates and times, he wrote. Hug: And last but not least, Descoins featured Hug, a library that lets developers create HTTP REST APIs on Python 3. Hug was built on performance, so it only consumes resources when necessary, which makes it a fast Python framework. Hug is also built on Falcon’s high-performance HTTP library, so developers can deploy this to production, wrote Descoins. Hug was also featured in one of our GitHub projects of the week.